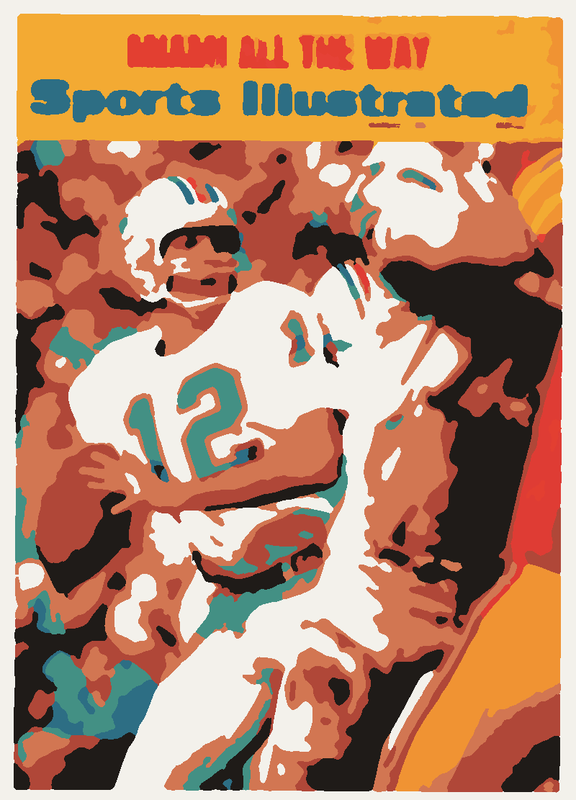 As previously reported, the Miami Dolphins beat the Washington Redskins, 14-7, in Super Bowl VII. Given that there's not much going on tomorrow after church, I probably will sit down and relook at the NBC telecast from Jan. 14, 1973. I'm especially interested in some of the programming that was produced around and after the big game. Or, if watching football doesn't hold my interest tomorrow afternoon and evening, I might just do something different like an art project. Thank you, PBNify.com, YouTube, SI Vault, et al. Can hardly type or even breathe. NFL of the 70's had so many touches that made kids fans. Those kids are the backbone of the NFL fan base today. I don't see them doing anything to make kids fans these days. That Rush Zone board game you gave me is pretty good. Much like Kramer's recreating the Merv Griffin Show set in his apartment, I could go overboard for this set. Earl Morrall was back home in Michigan with his wife, Jane, one day after Super Bowl VII for the birth of a baby. Don Shula says Jim Del Gaizo and Otto Stowe both want out of Miami. On the other hand, Shula doesn't give any indication that either Jim Kiick or Mercury Morris is likely to be traded. "If you didn't have a Kiick or Merc, you'd be looking for one to complement either of them." Larry Seiple's getting this punt away is one of the most underrated plays in Dolphins history. The Dolphins' captains were Lloyd Mumphord, Larry Little and Nick Buoniconti; the Redskins', Chris Hanburger, Diron Talbert, Charley Taylor and Len Hauss. Lloyd Mumphord!?! How did I not know that? Washington linebacker Jack Pardee retired before NFL72, but George Allen convinced the 36-year-old to reconsider--Curt Gowdy seems thrilled to see Pardee come through with the first key, third-down tackle of the game. Some kind of fumble involving Howard Kindig of the Dolphins and Harold McClinton of the Redskins on the punt snap, but fortunately that will get replayed because of a Washington penalty. That could've been huge. John Chancellor was at this game! NBC just came back from a commercial to show the NBC News anchor sitting deep, deep in the stands. For my money, there has never been a more satisfying football player to watch than Larry Csonka. Earl Campbell, Emmitt Smith, Ed Reed, Ricky Williams, Dan Marino, Ray Lewis, Oronde Gadsden ... several others have been fantastic to see. But, as a Dolphins fan of this era, no one has been more enjoyable for me than Larry Csonka. Feb. 12, 1973, Sports Illustrated "People" column: "Larry Csonka will receive a trophy as 'the most beautiful player in the NFL' from the Bryna Cosmetic Company. Although the Miami-based firm usually presents its beauty trophy to one of its female consultants, this year it goes to the Dolphin running back by unanimous vote of its employees, who are mostly women. One of Csonka's qualifications, according to Bryna, is that he has broken his nose 10 times." I still can't believe Bob Griese threw that interception to Brig Owens. I'm pretty sure he had zero incompletions before that pass, and that keeps Washington in the game. Washington, still trailing 14-0 in the fourth quarter, is now in the "rough-hewn" drive that NFL Films talked about as being Billy Kilmer's bread and butter. And it's great seeing Sam Wyche as his backup. Because he wasn't coaching the Dolphins, I always really thought bad thoughts about Sam Wyche, but that was silly. I actually feel myself kind of softer than usual toward the Patriots today. Jake Scott comes up with the interception that wraps up his MVP award, which probably should've gone to Manny Fernandez. Garo Yepremian is one of the first teammates to congratulate Scott at the Miami sideline after his big return. For all of you scoring-margin fans out there, NBC throws a graphic on the screen that these Dolphins led all of NFL72 in both most points scored and fewest points allowed. 2:07 to play, and here's Yepremian's gaffe. The Miami lead is now 14-7. The episode reminds Curt Gowdy of his old high-school basketball coach's advice: "Never try and shoot until you have secure possession of the ball." It is really, really strange to watch a Super Bowl with so little obvious emotion from either team--very few celebrations, almost no tough talk from team to team, hardly any jawing at the officials ... even the desperation that Billy Kilmer is obviously experiencing in trying to concoct a tying touchdown is not any too pronounced. Well, good for the Dolphins. In summary, the clear advantage seems to lie with the Redskins. Miami has a slight edge in rushing, but it is offset by a Redskin defense that shut off the strong running games of Dallas and Green Bay. Washington has experience and a quarterback on a tear. Call the coaching even. Finally, Washington scored most often during the regular season in the second and fourth quarters, when old men are supposed to be dragging. It was the young Dolphins who scored their least in the final quarter. So, who is over the hill anyway? Washington should win Super Bowl VII by at least 10 points and perhaps by as many as 21. It was not always easy, and far less dramatic than it might have been, but the Miami Dolphins finally demonstrated rather conclusively that they are the biggest fish in the pro football pond. In the seventh Super Bowl they defeated the Washington Redskins 14-7 before 81,706 sweltering and smog-beset fans in the Los Angeles Memorial Coliseum. This meant that the Dolphins went an entire season without a loss, 17 straight. No other NFL team has ever gone undefeated for a season, and no other club is likely to do it again soon, either. On the record, then, Miami is the best club in pro football history. Four plays later, with third and three on the Miami 48, Kilmer lost a battle of wits. Figuring that Miami would be looking for either Brown or Harraway in a short-yardage burst, he decided to pass instead. The Dolphins had a surprise of their own. Head Defensive Coach Bill Arnsparger called a variation of the weak zone which the Redskins were not expecting. Arnsparger went with a deployment that the Redskins know as the Weak Zone Buck, but in their study of Dolphin films they had noticed that Miami had not used the Weak Zone Buck since midseason. Larry Brown looped out of the back-field as a pass receiver. Normally, the Redskins would expect Buoniconti to roll to the weak side and then Brown would take off and try to outrun the weak-side linebacker. 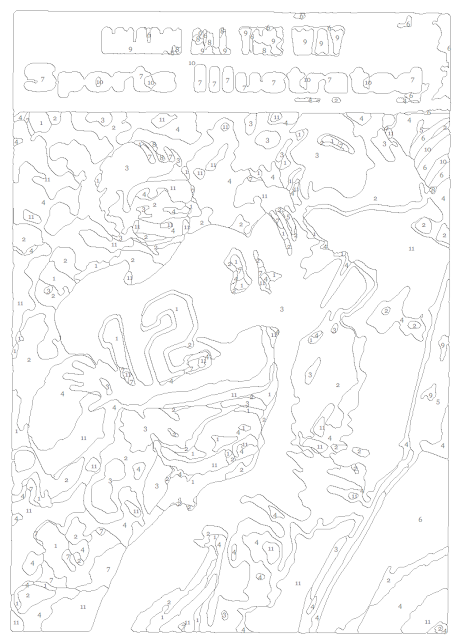 But in the Miami version of the Weak Zone Buck, Buoniconti fixes himself in the middle of a shallow zone. Ironically, Brown would run a pattern that would take him right to where Buoniconti lay in wait. The Redskins ambushed themselves. Meanwhile, Harraway also ran a pass route, leaving Kilmer without any back-field protection. Walter Rock, the Redskin left tackle, dropped back to take the first Dolphin through, while John Wilbur, Washington's fine right guard, fell back to take the second man. Wilbur expected that to be Bob Matheson, the Dolphins' extra linebacker, No. 53, who is inserted into the game at points such as this to key a defense that now bears his number—the 53 Defense. As Wilbur eyed Matheson, Doug Swift, the left linebacker, crashed on a blitz. He zeroed in on Kilmer at just about the same instant as Brown reached Buoniconti. "It was either get sacked or get the ball right out to Larry," Kilmer explained later, "and I forced it." Washington Coach George Allen seemed to be most discombobulated of all the principals by the attendant pressures. He never stopped complaining about the "distractions" common to a Super Bowl, and he regularly let the press hordes get under his skin. Allen works tirelessly and devotes himself altogether to the task of victory—"To win this game, I'd let you stick a knife in me and draw all my blood," he declared a couple days before the game—and he expects the same of his players. But for a game like the Super Bowl, it is probably better to take it easy. At least it now seems so. Shula was relaxed and amiable throughout, and was almost elfin in the interminable interviews that are a league requirement for Super Bowl coaches. Allen, on the other hand, only grew more querulous as the week wore on. In his last press session he snapped: "This is the first time in 23 years as a head coach I have missed a meeting with my team. I hope you fellows don't ask me the same questions today that you've been asking me all week." He also blamed the press for ruining his team's practice Thursday, and when he was not bemoaning the fourth estate he took after his players' wives. "If we could arrange for the wives to be in Chicago, I'd be happy," he announced, only half in jest. The players were hardly in agreement; The Washington Post reported that on Tuesday night before all the wives had arrived the Redskins placed "a league record" 236 long-distance phone calls from their motel. What time he had, Allen devoted to the most meticulous preparation. He even sent an associate to the Coliseum to scout the sun for a couple of hours. The man brought back a detailed solar chart. To those who have been wondering where Miami Dolphin Coach Don Shula gets his superior qualities, he gets them from his mother. Source of this information is none other than Mrs. Shula herself. "Don takes after me in every way," she told New Orleans Saints Vice-President Harry Hulmes at that semi-famous Super Bowl party held aboard the Queen Mary. "That's right," Don's father said. "For example, he has her temper." Mrs. Shula admitted as much. "Even as a little boy," she said, "Don would get furious if he ever lost at anything. He used to be his grandmother's partner at cards. If they lost he would storm out of the house crying, crawl under the front porch and sob away." Vin Scully, best known as the voice of the Los Angeles Dodgers, has a new daytime talk show aimed at women. It is strictly non-sports, featuring such celebrities as Walter Matthau, Phyllis Diller and Burt Bacharach. "I'm not a sports fan," explains Scully. "I'm a baseball announcer. There's a big difference. I didn't even watch the World Series." "And a finale that will be long remembered!" The Internet Is Amazing, but it's going to be even better once we have a Wikipedia page and YouTube catalog on the Happy People Singers. And here again come the helmet buggies! The producer of this extravaganza is Tommy Walker, an old Milwaukee boy with a lot of Disneyland and Olympics experience. He wrote "Charge!"! Now we have the Happy People Singers belting out a "This Land Is Your Land" medley that laces in songs about various cities. NBC is splicing in a video of various national monuments and beautiful scenes from around the country, and, in the stadium, the Michigan machine band has arranged itself in the shape of the continental United States as some guys lug around what appears to be a giant, papier-mâché jet airplane. The effect is such that the plane appears to be flying among the cities of which the Happy People Singers are happily singing! If this is the finale, Bill Enis of Fort Worth is right--I am going to long remember it. "SUPER BOWL VII" by Shuttle Babe -Beachcricket is probably my favorite techno song/video of all time. The Miami Dolphins and the Greater Miami Heart Association Wednesday filed a $1 million damage suit against a Kentucky firm for the alleged unauthorized sale of a medallion commemorating the Super Bowl champion Dolphins. The suit, which was filed in Dade County Circuit Court, seeks damages and an injunction against Fort Knox Mint Inc. of Elizabethtown, Ky. According to the suit, the Greater Miami Heart Association has been gratned the sole right to mint an official Miami Dolphin commemorative coin. The suit asks for actual damages of $500,000, punitive damages of $500,000, an accounting of sales of the coin and an injunction against any further sales. Carol: Mother, it’s Bob Griese! Florida: I’ll tell you both, Mercury Morris is the best. Maude: Will you listen to me? Now I have watched every single pro football game on TV all year, so I am an authority, and I know that Joe Namath--without a shadow of a doubt--has a cuter rear end than either Bob Griese or Mercury Morris. Don Shula on LP 72 The Season Of The Undefeated Dolphins: Not surprised. The NFL Films movie about the '72 Dolphins, The Perfect Season, opens with Don Shula and his wife, Dorothy, descending the airplane stairs to Miami's cheers after the team returns from the Super Bowl Los Angeles. 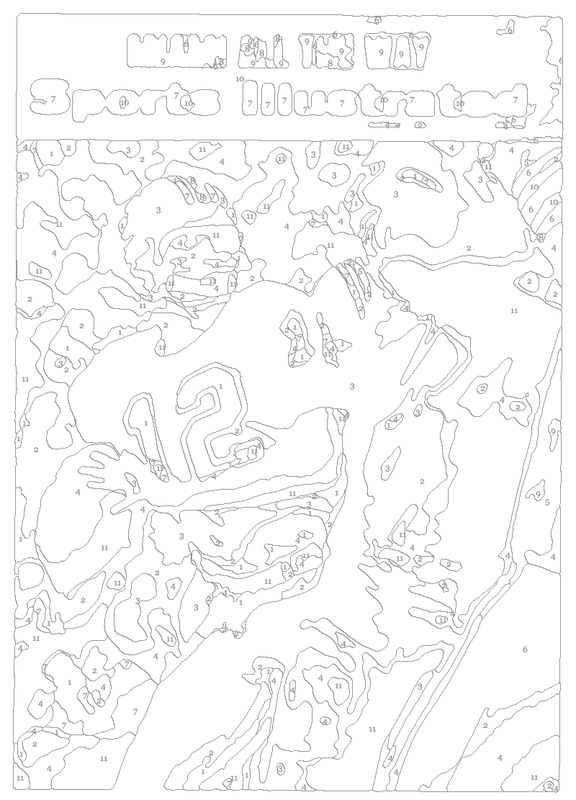 It ends with Shula being carried off the field at the game, with "17-0" printed over the frame. "It is unlikely ever to happen again," says John Facenda, who so far, of course, has been correct. Rest in peace, Dorothy Bartish Shula (1958-1991), originally of Painesville, Ohio, and John Facenda (1913-1984), originally of Portsmouth, Virginia. I love everything about this video of President Obama's honoring the '72 Dolphins. For that matter, I love everything about this video of a Super Bowl VII party that somebody hosted. My favorite parts are the little-bottled Cokes at about 40 seconds and the TV at 1:15 or so.